At FLUX Design Studio, we believe good design is honest & unobtrusive – drawing attention not to itself, but to the message. Our work is clean & minimal, using type, colour & design best practice to emphasise our clients message. Design follows content … Always! FLUX provides customised design, specialising in the implementation of print & interactive communication. With strong visual design & well-considered packaging, products produced by FLUX are designed to stand out from the crowd. FLUX has worked with a broad cross-section of clients including local government, educational & community organisations, small business, artists & hobbyists. FLUX has developed relationships with a number of experts in areas which compliment their work, enabling FLUX to bring together the best team for each client. This network includes editors, photographers, illustrators, printers, hosting services etc. If you would like to become a part of the Flux team please email us your CV. She has taught design at the Australian Academy of Design, RMIT & Swinburne. She conducts customised training workshops & holds a current Working with Children Card. 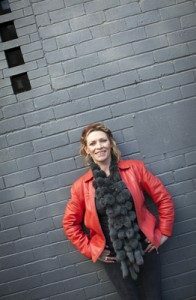 Jinny has a Bachelor of Arts in Multimedia, Certificate IV in Assessment & Workplace Training, Certificate IV in Business – Small Business Management & a Graduate Certificate in Internet & Web Computing. She has also completed a 6 week intensive Social Media Management training as part of her on-going professional development. 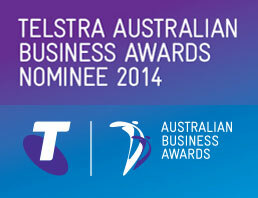 Jinny was honored to be nominated for the 2014 & 2015 Telstra Australian Business Awards. In her own time you’ll often find her wandering around taking photos, tending her cottage garden & herbs, cooking up a storm for family & friends or curled up reading her favourite book. 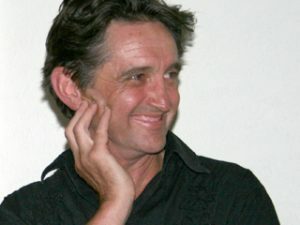 Brendan Hehir worked for many years in theatre, set & sculptural design. He spent a number of years overseas, working in the Edinborough Festival & with the Deaf Theatre in the States. An ideas man, Brendan is an avid reader & is in charge of the research arm of the business. Brendan’s ideas, fine art & illustrations are found in many FLUX products. 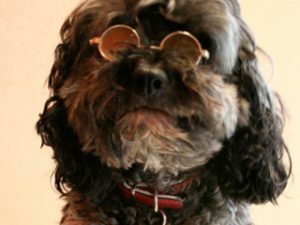 Over the last 8 years he has collaborated with Robin Bradley to illustrate a series of Pet Guru cartoons published in the bi-monthly community newspaper, The Blackwood Times. He also illustrated Robins’ book, A Poets Lie. A professional artist, Brendans’ work can be viewed on his personal website. When he is not painting you’ll probably find Brendan reading the days paper in the sun or renovating the pairs 1870’s miners cottage in Central Victoria. Maxwell Murphy is in charge of staff health, fitness & well-being. He greets clients, ensures staff take regular breaks & relieves any stressful situations which arise in the workplace. He takes great pride in overseeing office security. Neomi Jakab is our eBook guru. She has expert skills in editing, proofreading, publishing and eBook conversion for all major platforms like PDF, Amazon’s Kindle, ePub for Apple’s iBooks, B&N’s Nook and HTML etc. So where Jinny designs the printed book, Neomi takes over to convert it to an eBook which views perfectly on every platform. George Djordje lives for wordpress. He is a qualified Infomatic Engineer & has over 5 years of experience in web development, design to css and custom wordpress themes, SEO, mobile responsive webdesign & pixel perfect css. Atila Kanjo is our man for converting web interface designs into pixel perfect HTML/CSS pages. He is also a wizz when it comes to coding .php! He loves to get things done on time and always does his very best on any project we put his way. We love him because he’s certainly not afraid to try new things! With more than 7 years experience under his belt, Gito Nirboyo is proficient with Photoshop. Editing images is his role at FLUX, requiring him to be creative and pay attention to detail to produce the best result. Santiago Periel is our photographic retoucher taking on all kinds of image enhancements from basic touch up, cleaning, removing backgrounds, changing colors and any other post-production we need for our clients. Need an image converted from bitmap to vector? Look no further than our Pecgi Tanjung who has a perfect grip or the pen tool & its quirks.